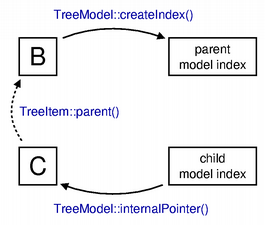 This example shows how to implement a simple item-based tree model that can be used with other classes the model/view framework. 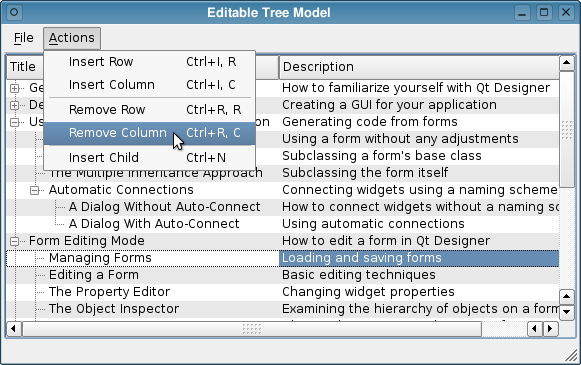 Note: The model only shows the basic principles used when creating an editable, hierarchical model. You may wish to use the ModelTest project to test production models. 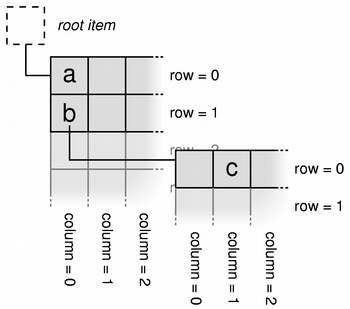 As described in the Model Subclassing Reference, models must provide implementations for the standard set of model functions: flags(), data(), headerData(), and rowCount(). 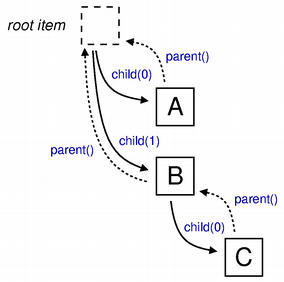 In addition, hierarchical models, such as this one, need to provide implementations of index() and parent(). 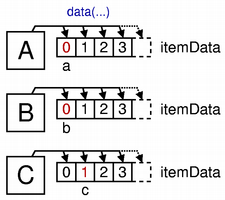 An editable model needs to provide implementations of setData() and headerData(), and must return a suitable combination of flags from its flags() function.